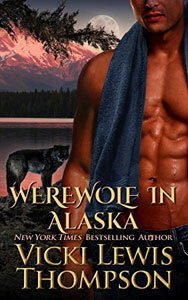 Alaskan werewolf Jake Hunter’s fascinated by Rachel Miller, his lovely neighbor across the lake. But he’s the founder of WARM (Werewolves Against Random Mating) and becoming involved with a human female would be the height of hypocrisy. That’s why he watches her from afar...until she accidentally crosses paths with a mother grizzly and her cub. Rachel’s built her artistic reputation carving images of wolves inspired by a muscular male wolf she caught on camera. She never expected he’d show up again, let alone risk his life to save hers. Their connection borders on psychic, drawing her as she tracks him to Jake’s cabin. Her reserved and reclusive neighbor rebuffs her accusations that he’s harboring a wolf in his home, but her instincts tell her he’s lying. “I should really shave off some of this fur,” Rachel murmured, partly to Jake but mostly to herself. He’d have to watch his reactions so she wouldn’t edge any closer to the truth. But he wouldn’t let her take a razor to his coat, and that was final. One shift to human form and another back to wolf form, and he’d be on the road to recovery. 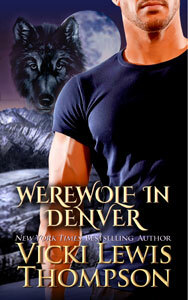 If she started hacking up his coat while he was in wolf form, it wouldn’t grow out for weeks. The hell she was. After she walked away, he staggered to his feet and headed unsteadily toward the bedroom door. He’d leap through a glass window if he had to. His fur had never been shaved and he wasn’t about to let her do it now. Truthfully, he wasn’t sure if he could work up enough momentum to do that. The windows on the lake side of the cabin looked fairly new, which could mean they were double-paned. Besides, if he succeeded in breaking through, he’d leave her vulnerable if the bear returned. He was shaking, and he hated that. He’d lost a lot of blood and without the ability to shift, he was pathetically weak. He saw the wisdom in that suggestion. If he collapsed in the middle of her living room he might not have the strength to get up again, let alone stop her from shaving him. The folded quilt she’d fixed for him was far more comfortable than this wide-plank wood flooring. He made his way back to the bedroom. She wasn’t going to let the idea go. He imagined himself getting shaved and then heading to San Francisco in three days. Giselle had scheduled a late-night run with some of WARM’s supporters in the hills outside the city, and if Rachel had her way, he’d be the mangiest looking animal on that run. Besides, some Were was bound to ask about it, and what was he supposed to say? That he’d allowed a human female to shave off his fur, like Delilah snipping on Sampson? This time in Rachel’s cabin had to remain their little secret, and that meant keeping all his fur intact. As much as he longed to curl up on the fluffy quilt, he followed his instincts and crawled under her king-sized bed. He was too big to be doing that, but by flattening himself to the floor, he managed to wiggle his way to the very middle. Every movement hurt like crazy, but at least he’d be safe under there. He figured he could do without the salve. She’d given him a dose of the antibiotic and cleaned his wounds. That should be good enough. It would be more than enough if only he could shift, but he didn’t dare try, even hidden under the bed after she was asleep. The space was cramped, and assuming she slept in that bed tonight, she might feel him bumping around underneath her during a shift. 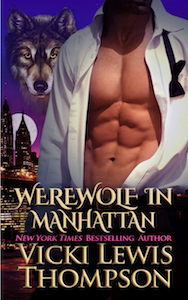 Just his luck she’d hang her head over the edge and spy a naked man where a wolf used to be. He’d wait out the night and escape in the morning. He could see her, too, and she looked adorably pissed at him. Too bad. At this moment their goals weren’t aligned and she’d have to get over it. He stared back at her and sent her a telepathic message. It was mostly the very pink razor. He didn’t expect her to get the message. Humans couldn’t communicate with Weres in wolf form. But he felt better after sending it, even if she couldn’t hear him. She frowned as if trying to make sense of something. He wondered if her empathy allowed her to pick up part of the transmission, even if she couldn’t understand all of it. She was the most intuitive human he’d ever met, so she might hear a muddled version of his telepathic thoughts. Testing her innate ability would be fascinating. 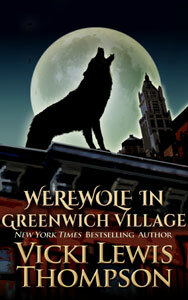 But he’d have to reveal himself as a werewolf to do that, and he had no intention of betraying himself or his kind. He might believe she wouldn’t sound the alarm, but could he be absolutely sure? His heart answered yes, but his logical brain insisted that she was human, and humans represented too great a risk to security. She could never be allowed to know who he was.